“Work hard” is a piece of advice you’ve heard frequently throughout your life. Hard work, which is often defined as putting in effort while staying resilient, is the key to achieving great success. But what does it mean to be a hard worker? Is it completing school, doing your job right, and meeting your obligations? “Doing work” doesn’t capture the complete essence of hard work. Outside of day-to-day activities, a hard worker goes above and beyond their routine. It’s a mixture of being productive while having a vision, conquering hardship, and finding reward. Hard work is as much a psychological journey as it is a physical one, and hard workers have purpose. From time to time, it’s easy to fall off the track and forget why you are working hard. Luckily, many people experience these high’s and low’s and share their stories through podcasts. 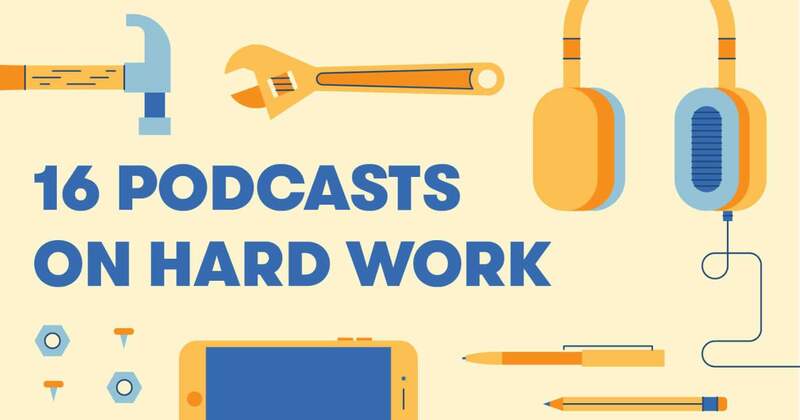 BigRentz highlighted some of the most inspiring podcasts for hard workers below. The podcasts range from self-improvement and productivity to career and health. With topics like finding your happiness and creating habits, the podcasts will help you become a smarter and happier hard worker. How Can Consistent Exercise Make You More Productive? Is your workplace making you ill?